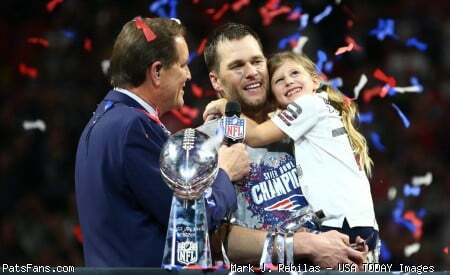 Discussion in 'Patriots Draft Talk' started by patchick, Apr 15, 2019 at 11:09 AM. Stanley Morgon might be a backup Deebo option. Z/Slot playmaker w hands, one of the better r/r in the class, put up vg production & has the mental toughness you want. Him & Tyler Johnson are 2 guys that would fit great here learning from Edleman. I haven't seen much Deebo in the 1st and when I have it hasn't been any higher than 32. If we want him there then we can get him. I personally see him more as a mid-late 2nd round type player. And his injury history slightly worries me. All being equal I'd take him over the others you mentioned, but if the choice is Riley Ridley at 73 or Deebo at 32, I'll take Ridley. @patchick any interest in adding Brandt's rankings, or do you prefer to limit the composite to mock drafts? Some of his takes are fairly divergent from the draft intelligencia. Interesting player order from an actual GM (although perhaps a product of another era; still, I think he's worth a read out of respect for his place in draft history). The end of the 3rd round is really interesting with Knox, Warring and Boykin all that late nineties area. He might be a former GM from a previous era but there’s not many with the contacts he has. If his board is based upon what he’s hearing, it’s definitely worth considering which is why I used it for my latest mock. AJ Brown, Dorsett, Edelman (and Gordon) is actually legit. Can't pass that up if the chance exists. Thanks for the link, definitely an interesting take! I do think mocks are a little different, though, particularly with regard to positional value. I have a feeling that if Gordon comes back this year and keeps his nose clean (oops! ), he’ll get a second contract from us as he’ll be relatively cheap and come with huge upside. So Brown, Gordon another high upside rookie like Hardman, Isabella, Boykin and maybe another year or two of Edelman is a really nice look for the next 2-3 years. Maybe its me but I think Warring/Oliver have a good shot at TE3. I have them a round after Knox and Sternberger. Warring’s drops concern me. I think after the big 2 its a free for all of sorts. Maybe some teams get turned off by Smith's size? Fwiw I think Smith is firmly on our radar even at 32. Not my choice or w/e even though im a fan. I just think he's the type that makes Bill feel comfortable w what hes getting. I think so too. I can see an argument to go with the high floor this year whilst we have little at the position and then wait for the high ceiling when the right prospect comes along. For now, they probably need to ensure they get some production at the position whilst taking minimal risk of busting. I like the idea of embracing the upside of Boykin without worrying about rushing him in early. Particularly if Thomas and Gordon can produce quality reps between them this season. But it has to be said: Lindstrom and McCoy both seem like locks to be high-level starters for a long time. BPA, anyone? Here's the problem I keep having with drafting OL in the first. First, we have to remember Belichick's mantra for the draft: improve the team. Second, we have to assume that everyone drafted in the first four rounds will end up either on the 53 or an inactive list. That means that either they contribute nothing (on an inactive list) or they have to replace an existing player on the 53. By and large, the goal for an OL is consistency; you need backups for injuries/breathers, but it's generally a bad sign if the majority of your starters play fewer than 90% of snaps. Right now, it appears that they have all of their OL starters in place for this year (Wynn, Thuney, Andrews, Mason, Cannon). Either they have to take the place of one of the above starters—presumably Thuney. Or they mostly sit on the bench for at least a year. You make a solid case, but I have to say that the OT situation in particular scares me. Cannon has missed 12 games to injury in the past 2 seasons. Wynn is coming off a major injury and has never played an NFL game. And that's the entire depth chart. A promising swing tackle is essential, IMO. I won't argue that, but that's not at all the same thing as drafting IOL in the first round. I have never had a problem with drafting a LT in the first, even if he is not a starter in his first year, and is only a swing OT. My guess is that folks would be fine if we traded down and drafted an OT at 35 instead of 32. I suspect that this is a matter of principle, similar to not drafting a WR in the first. Let us say that Wynn was not able to beat out Brown for a starting job. Would Wynn then be a terrible choice? Would it really have been so bad if Wynn would have been the first off the bench instead of Waddle at OT? instead of Karras at LG? I think that Wynn would have been a fine pick under those circumstances. I'm making a specific case about this year. I'm certainly not opposed to the concept of an OT in the first. As to your question: yes, it would have been a disappointment if Wynn had lost the LT competition based solely on talent. If he isn't a starter this year, it will be an even bigger disappointment. Fair enough! I agree that the immediate incremental value isn't there. FWIW I just saw a mock that had the Pats taking OL Dalton Risner at #32. Technically sound tackle with positional versatility, could step in immediately as swing tackle then be Cannon's heir apparent on the right side. It makes some sense.